This advertisement is being seen at least 100 times per day by people wanting accommodation, tours, and visitor information. Don't miss out on this valuable advertising space!! 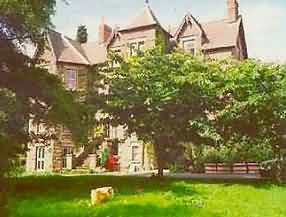 Abergavenny accommodation in friendly Abergavenny hotels, B&B, Bed and Breakfast, homely Guest Houses, cosy Holiday Cottages, congenial Country Pubs and Inns, luxurious Abergavenny Country House Hotels and Caravan and Camping sites. 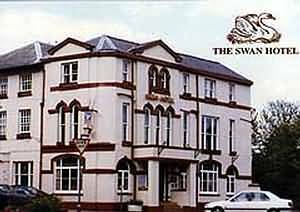 The Swan Hotel with its 11 comfortable bedrooms is situated in the market town of Abergavenny, known as the ‘Gateway to Wales’. Adjacent to the bus station and within 10 minutes walk of the Railway Station, it is centrally placed in the town as well as affording easy access to the M4 motorway. Leisure activities in the surrounding countryside include fishing in the River Usk, pony treking in the mountains, hang gliding, hill walks, canal cruising, or golf at the 18 hole Monmouthshire Golf Course. This 18th Century Georgian country house, situated in the foothills of the Black Mountains, is only 4 miles from the market town of Abergavenny and offers comfortable relaxing stays in the beautiful Welsh countryside. All of the en-suite guest rooms are well appointed and individually decorated. We offer a full Welsh Breakfast, and dinner may be taken in our licenced restaurant or in the cosy bar. We aim to make your stay an enjoyable one. We have a number of rooms which can be booked on a single or double occupancy basis. Family rooms are available and all of our rooms have en-suite facilities. An ideal holiday location especially for families or groups keen to visit The Black Mountains, Brecon Beacons, or walk the Offa`s Dyke Path. 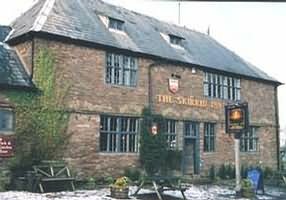 The village has The Skirrid Mountain Inn, which is the oldest pub in Wales and was used as Judge Jeffrie`s Court. The scenery is superb with The Skirrid Mountain behind and The Black Mountains just beyond the village. Ideally situated to explore the Wye Valley, Welsh Border Country, Forest of Dean, The Brecon Beacons National Park & South Wales. Relax in our own farmhouse and join us for breakfast. Your choice includes cosy rooms on the first floor or our spacious loft accommodation. 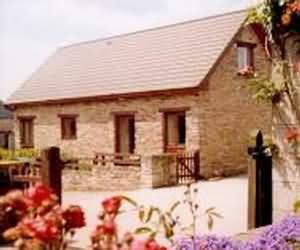 Bed & Breakfast either in the farmhouse or cottages (when available). Breakfast is served in our spacious kitchen usually between 8 & 10.am although this is not rigidly adhered to and consists of: Cereals, fresh fruit salads & juices, yoghurt, sausage, bacon, our own farm eggs, mushrooms, tomatoes etc. Vegitarian breakfast is also available. From £25.00 to £30.00 per person. Pen-Y-Dre also has a small select caravan park opposite the main farm buildings. Facilities on site include electric hook ups, hard pitches, shower and toilet block and wash up room. One shower and toilet block suitable for disabled persons. Camping on same site. Open Easter to the end of October. Camping £4.00. Caravans £8.00 - £9.50 per night. 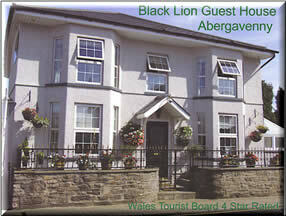 a perfect base for your visit to Abergavenny and mid Wales. 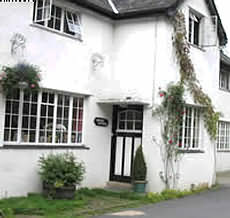 Abergavenny lies nestled at the foot of many beautiful mountains and is consequently cocooned and sheltered by some of the most awe inspiring mountains in Wales, including the "Sugar Loaf", the "Blorenge" and the "Skirrid"
At Jenny's Guest House you are invited to indulge in one of their seven guest rooms, all of varying sizes to suit your needs. The Guest House is within 7 minutes walk of Abergavenny town centre, they offer secure off-road parking, a varied breakfast menu catering for all tastes, and they even have their our own mini-zoo complete with chickens, pigs and rabbits! In the summer, why not enjoy their BBQ and sunbathing area. Or, if you want to venture out then ask Jenny to prepare a wonderful packed lunch for your trip. Jenny can also supply evening snacks on request. Pets? No problem, as long as they get along with our resident animals! Brynhonddu provides comfortable accommodation within picturesque surroundings and is ideally situated for Walking, Touring and Activity Breaks. Set in the foot hills of the Black Mountains in the Brecon Beacons National Park, within the Welsh Border area known historically as the Welsh Marches. Brynhonddu Country House Bed & Breakfast' shares Bwlch Trewyn Estate with a working Beef and Sheep Farm. The associated 'Grounds' are covered by a blanket Tree Preservation Order which was initiated to preserve the wide variety of indigenous and non-indigenous tree species planted by previous owners. Tea/Coffee making facilities and TV. 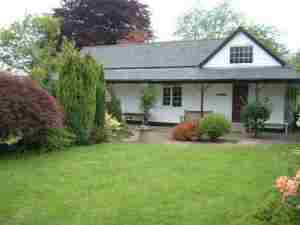 Situated in the unspoilt rural hamlet of Llangattock Lingoed, nestling in the Welsh border countryside. The panoramic views from The Rectory add to the charm, including the wildlife and abundant bird life. The bedrooms are spacious, and two look out onto the rolling hillsides through large windows. All rooms are equipped with tea and coffee making facilities and radio alarm clocks. There is also a guest lounge at your disposal, with a TV. To start the day a hearty breakfast Sausage and bacon, locally produced Free range eggs from our neighbouring farmer Mushrooms from the meadow Tomatoes from our garden, when in season. Evening meals are available by prior arrangement. Seasonal fruit and vegetables are grown in the Rectory garden. Packed lunches are also available, and are ever popular with those walking the hillsides. The Rectory operates a non-smoking policy. Situated on the edge of the Brecon Beacons National Park, Ty Clawdd (Bank House) has splendid views across to Hatterall Ridge and the Black Mountains. Llanthony Abbey and Capel y Ffin nestle in the valley to the south of the Ridge. Ty Clawdd is a larger timber-clad and artificial stone detached house set at the back of a small rural housing estate. With several years experience of providing accommodation, the owners, Judy & Ray Moreland, look forward to making your stay a comfortable and enjoyable one. We have one twin room and three single rooms none of which have ensuite facilities. Bed & breakfast is £22.00 per person. A location used by many tourists over the years as the Gateway to Wales. The Black Lion Guest House is family run business, which offers a warm and friendly welcome to all, including cyclists and walkers etc. Welcome to Hopyard Farm Cottages. Surrounded by the beautiful Brecon Beacons National Park and the Black Mountains. Hopyard Farm Cottages offers you the ideal location for your short break or longer holiday. 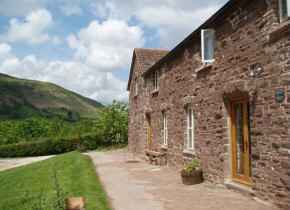 The farm is set in the picturesque Usk Valley between the River Usk and Monmouthshire-Brecon Canal. 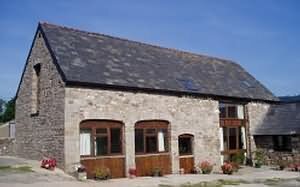 The former dairy farm now boasts five self-catering cottages converted from a 16th Century stone barn. Four cottages sleep from 3 to 6 people, each cottage has a fully equipped kitchen, colour television and video in the lounge and its own rear garden. Our newly opened barn -Courtyard Cottage- sleeps a total of 14 people in 6 bedrooms making Hopyard Farm a perfect spot for that family gathering or reunion of friends. The stunning views can be enjoyed from our large lawned area, which provides a safe children's play area, garden seating and a boules court. Set up the badminton net, roll out the BBQ or just lie back and gaze at the clear night sky - the choice is yours! the border of England and Wales in the beautiful county of Monmouthshire. A split level cottage with open plan lounge/kitchen/diner, 1 double bedroom,1 twin bedroom and bathroom with shower over the bath. Three steps between lounge and bedrooms. Oil fired central heating and electric heaters. 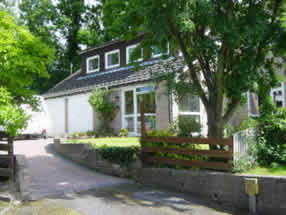 GROUND FLOOR - Entrance hall, open plan lounge/kitchen/diner, small double bedroom with en-suite shower, washbasin and wc. FIRST FLOOR - Family room with 1 double bed, 1 single bed and cot. Twin bedroom and bathroom with wc. - Electric heaters in all rooms and a woodburning stove in the lounge. Undercover parking. Access for a wheel chair user who is able to walk a few steps. Much attention has been paid to the finer details and many of the original features have been retained, including the great oak beams and stonewalls giving the cottages a true `country feel`. The living area is on the higher level and there are stairs down to the bedrooms and bathroom which is then level with the farm courtyard! These cottages will all sleep 4 EACH plus cots; each has 2 bedrooms, a large open plan living area with well equipped kitchen, microwave, electric cooker, fridge etc, dining table and chairs, comfortable sofa, chairs and colour TV. Downstairs is one double and one twin bedroom. The bathroom has a bath with shower over, hand basin and toilet. Lawns in front of each cottage have garden furniture and a bar-b-que, is available. Each cottage has economy 7 storage heaters plus electric fires if required. All electricity, heating, duvets, pillows, linen and towels are included. Pets are welcome - but it should be remembered this is a working farm. This family run self catering accommodation oozes charm and has a relaxed, informal atmosphere, where visitors can soak up the peace and tranquillity of its spectaculars views and scenery. Trwyn Tal is a traditional Welsh property ideally situated on the side of Daren Lewd within the Eastern Region of the Brecon Beacons National Park. The property is close to the historic book town of Hay on Wye, adjacent to Offas Dyke (ancient English & Welsh border) and the Number 42 cycle route. 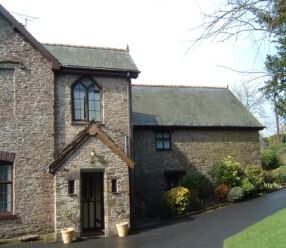 Trwyn Tal is a converted stable built on two levels. The large lounge has satellite TV and DVD and has central heating. The woodburning stove provides a focal point to the lounge, as well as some warmth for cooler evenings. There is a double bed settee that allows the annexe to sleep 6. Trwyn Tal offers a master double bedroom to the North of the property and a twin bedded room to the South of the property. Both rooms have views across the courtyard to Daren Lewd. The slit windows add character and date back from the property’s stable heritage. Dogs are not catered for in this accommodation. Situated on a hillside farm, overlooking the renowned Llanthony Valley near the graceful ruins of the 12th Century Priory. This is an ideal base for walking, pony trekking, painting, or just relaxing in the most peaceful surroundings. Offa's Dyke footpath lies on the hill behind the farm. It is a short walk to two local inns serving food and real ale, one in the cellars of the ancient Priory. The nearest towns are Abergavenny and Hay-on-Wye. Perfect for a couple, or small family. 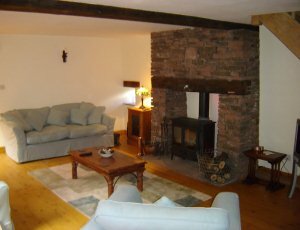 The traditional stone barn has been converted into two independent cottages. Much of the original stone-work and timber were kept so both cottages are full of character. There is a spectacular wide view over the valley from the cottages. There are outdoor tables, seating and barbeque.There are stacks of wood and log fires in both cottages ready for cosy evenings. Towels and bed linen are provided.- There is a washing machine for your use. Please note that Swanmeadow is a non-smoking accommodation. 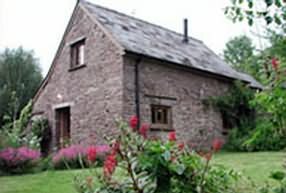 Delightful and secluded self-catering holiday cottage in the Black Mountains, on the edge of the Brecon Beacons National Park. Far House Cottage is a stone built, two-bedroom holiday cottage just outside the hamlet of Bettws, in a wooded valley in the heart of the Black Mountains. Some of the finest hill walking in southern Britain starts at the front door. Far House Cottage comprises one double bedroom and one twin bedroom, bathroom (with shower), separate lavatory and an open-plan kitchen/living area with a wood burner. The cottage was re-painted in late 2005. The kitchen has been recently equipped. There is an electric cooker and fridge. There are exposed beams and stone throughout and the cottage is carefully decorated with paintings, maps and books. Heating is electric (night storage heaters) with a log burning fire (wood provided). There is parking beside the cottage and a south-facing garden with a lawn, a patio area, garden furniture and a barbecue. 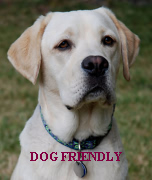 Far House is no longer a working farm, so well behaved dogs are welcome in the holiday cottage. Rates from £260.00 include bed linen, towels and logs for the wood burner. Beautiful hamlet in the Black Mountains. neighbouring old country inn with excellent food. deep within the Black Mountains. Castle Farm is a fantastically located and stylish five bedroom farm house with an additional cottage and studio barn. All are available to rent by the day or week. The location and views from the property are exceptional. If you are looking to get away from it all, look no further! The property has been recently refurbished to a very high standard and well equipped: Satellite TV, Washer and dryer, large fridge and freezer. The main house has an Aga and 12 seater dining table. 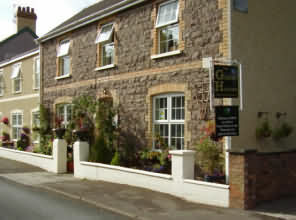 The Hotel is situated in the Clydach gorge, within the Brecon Beacons National Park. The Gorge is famous for its 18th century iron works and is ideally situated for walking the many footpaths in the area. The Gorge is also a place of natural beauty with tremendous views everywhere. 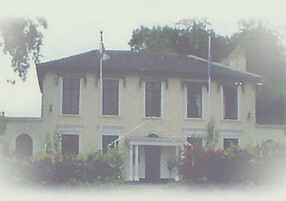 The Hotel is internationally acclaimed. We cater for up to seventy people and can provide a charming venue with trained staff at your service. The Rock and Fountain is surprisingly spacious and can comfortably accommodate twenty people. Its seven well-appointed rooms include a family suite and two family rooms, one of which can sleep five people. Most afford a spectacular view over the beautiful Clydach Gorge. All rooms are en suite with towels, soap, shower cap and gel, tea and coffee making facilities, TV, hairdryer and radio alarm clock. An iron and ironing board as well as an infant's cot are available on request. All prices include a full English breakfast. 5 miles north from the centre of Abergavenny and 18 miles from Hereford. 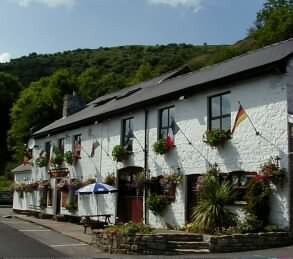 The Skirrid Mountain Inn is reputed to be the oldest Public House in Wales and it's history can be traced back as far as the Norman Conquest. The inn has an ancient wood-paneled restaurant where you can sit and enjoy delicious home cooked food from the menu. There are fireplaces with real fires, two bars, one with a pool table, an old ship's bell for calling last orders, and three comfortable luxury visitor's bedrooms, two with four poster beds. All rooms have lovely country views, and you can wander down to the bar and relax over a drink and a meal. With no driving, it's just up the stairs to bed. What could be better!!!. Prices include a home cooked Welsh Breakfast to set you up for the day. 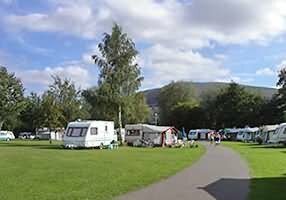 Pyscodlyn Farm Caravan & Camping Site is a family run site, located in the picturesque Usk Valley, within the boundaries of the Brecon Beacons National Park. The site is grass, level and has plenty of trees for shelter. Toilets, showers and laundry facilities are on site. Hot water is always available. There are 30 electric hook-up points (10 amp). Dogs are welcome and an excercise area is provided. There is a modern, six berth caravan for hire. It has a bathroom with toilet and shower, fully equipped kitchen including microwave, fridge and cooker, two bedrooms - 1 double, 1 twin and a bed can also be made up in the living room. All bed linen is supplied and the cost is between £200 - £250 per week. Short breaks are available low season.